This super-rich brownie is a slice of food history. 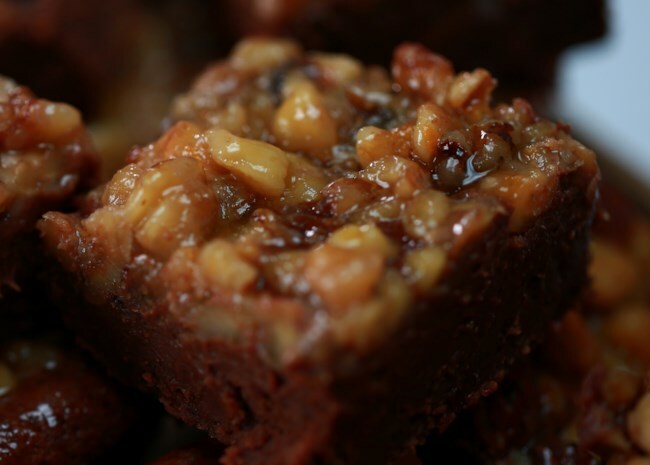 Visitors to the World's Columbian Exposition in 1893 tasted the first brownie recipe in recorded food history. This chocolaty, buttery, fudgy confection topped with walnuts and apricot glaze was created by the Palmer House Hotel in Chicago — and now you can recreate it in your own kitchen using the original recipe (it's more than 100 years old!). MasterChef alum, Elise Mayfield — aka Smart Cookie — will guide you through this vintage recipe step by step, and share some (mostly) fun facts along the way. 1. With just half a cup of flour in the recipe, these dense brownies lean more towards fudge than cake. 2. After you mix the melted chocolate with the flour and sugar, be sure to stir and cool the mixture before adding the eggs so they won't scramble from the heat. 3. Because these fudgy brownies are moist and dense, you won't be able to rely on the toothpick method to tell if the brownies are fully baked. Your toothpick will come out with chocolate on it! So, how will you know if the brownies are done? Look at the sides of the pan. Do you see crispy edges with the brownie pulling away from the sides? They're done. Related: Learn how to melt chocolate 3 easy ways. Want More? See all our brownie recipes.